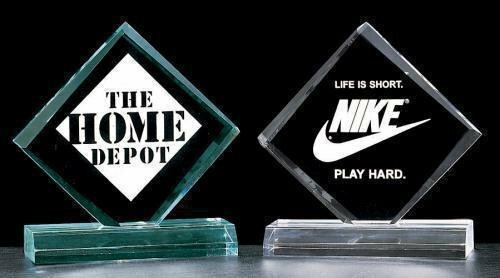 Diamond series clear acrylic with black accent and silver post to keep the awards upright. 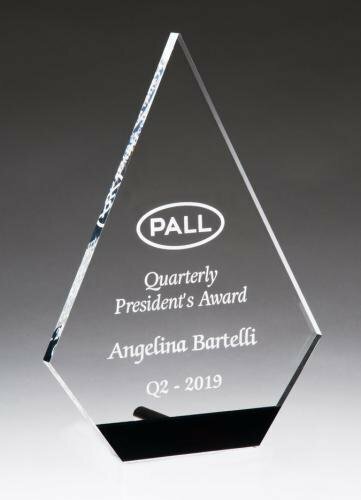 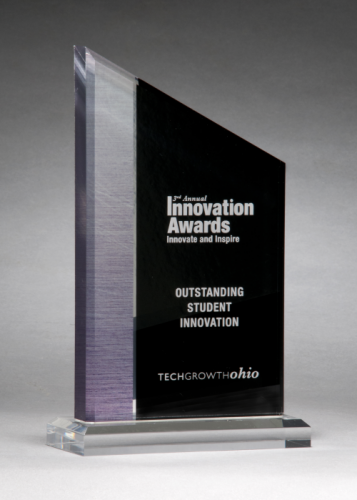 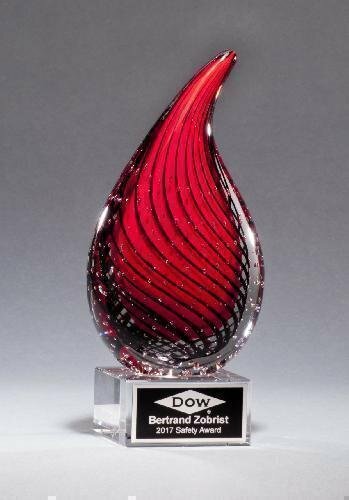 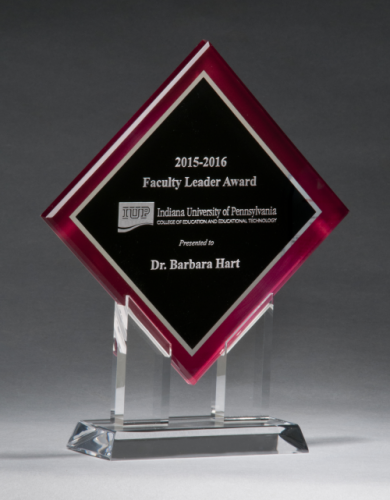 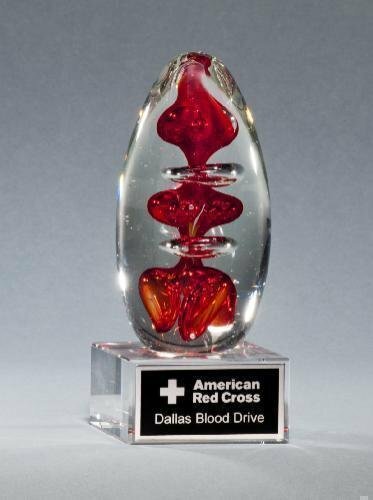 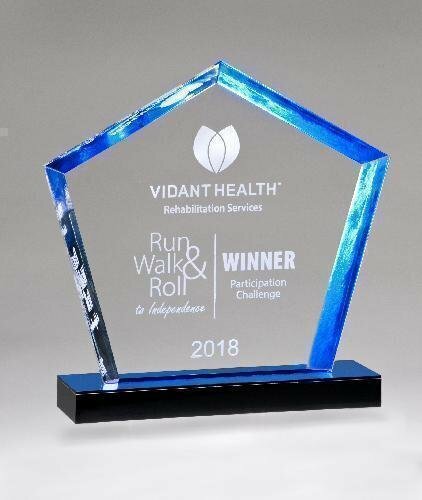 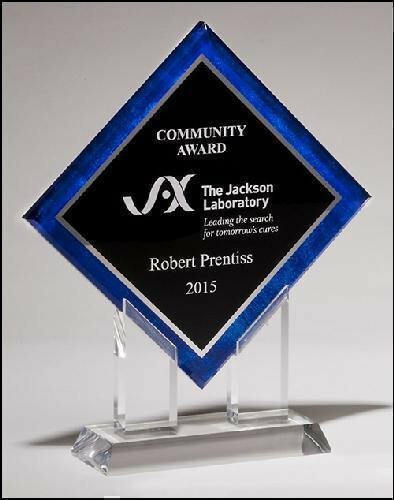 The awards is made of 3/8” thick acrylic. 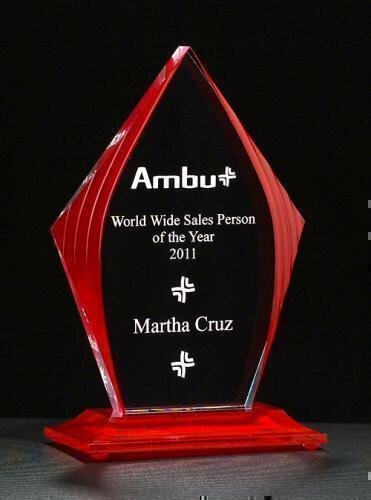 Price includes lettering and individually gift boxed.